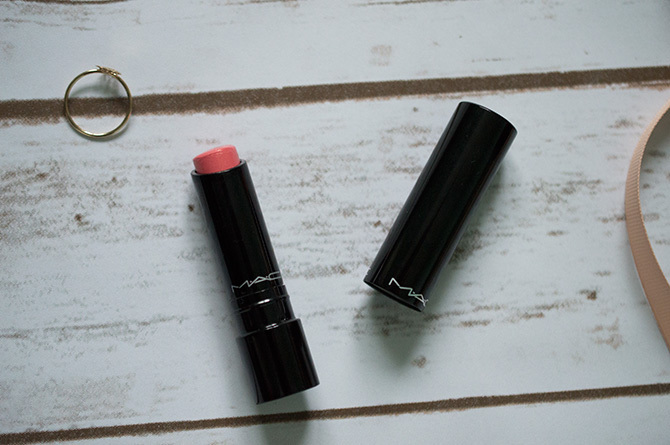 Now that summer is upon us, its time to refresh your daily make up routine and start adding one of the seasons hottest hues - coral! You can incorporate coral into your make up routine in many ways but I've put together a little edit to give you some inspiration! And if there's anything I've learned from putting together this edit, it's that there is definitely a fine line between pink, coral and orange. Hopefully I haven't crossed that line to much. 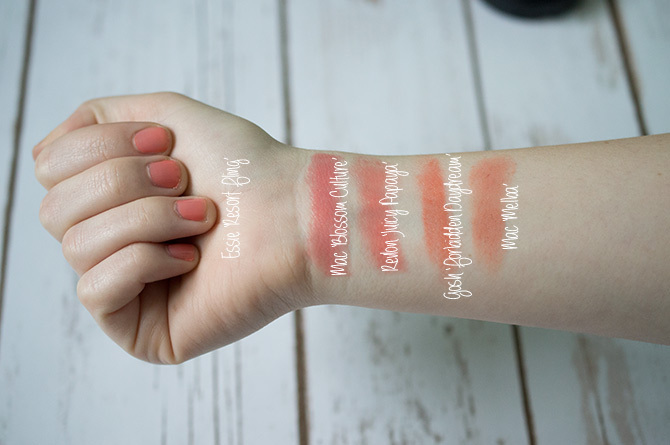 I actually went into the shop for another orangey blush (I can't for the life of me remember what one though!) but the assistant recommended Melba for my skin tone and I've pretty much worn it every day since. 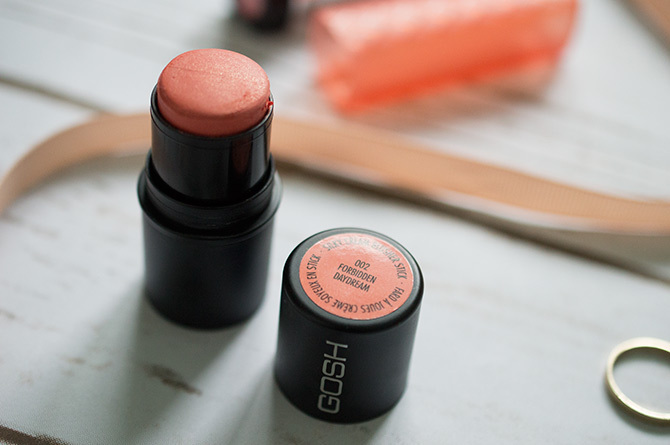 This highly pigmented matte blush gives you a cheeky pop of colour that warms up your face to give you a healthy glow. 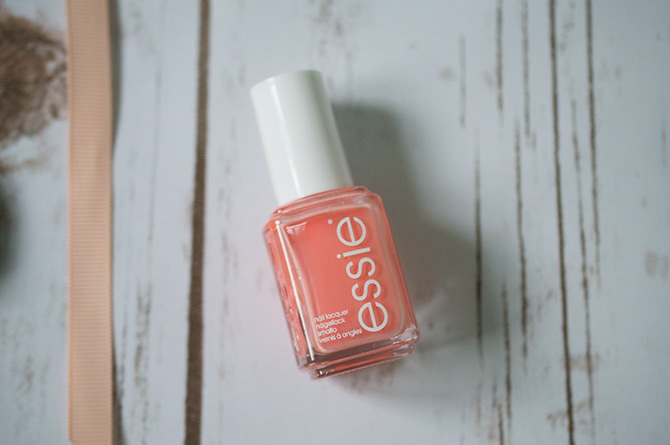 Probably my favourite product from the edit is this Essie nail polish in Resort Fling (and probably every other Essie nail varnish... but thats another story). 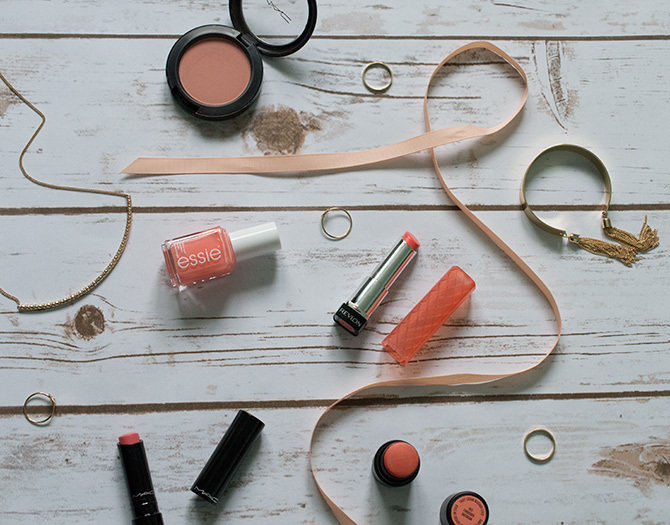 It's more on the peachy side of coral that can be worn with 1, 2 or 3 coats to change the intensity of the colour. Blossom Culture is probably the pinkest item in this edit. The colour applies quite sheer but can be built upon to get a more intense colour. 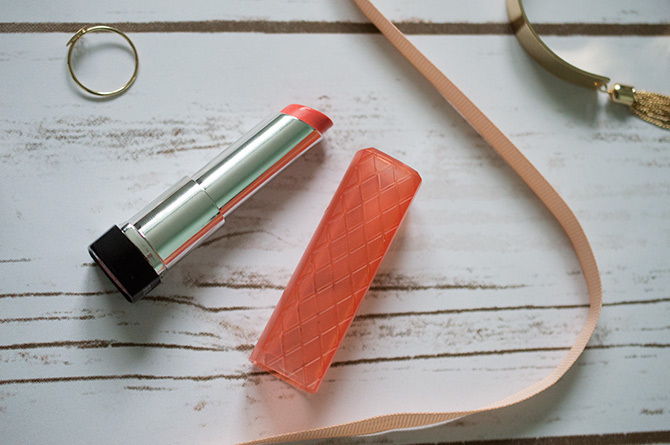 This lipstick/lip gloss hybrid is a great addition to anyones make up bag. I'm a bit late to the party on the Revlon lip butters but after discovering this little beauty in the aisles of Boots last week, I definitely need to go back for more. 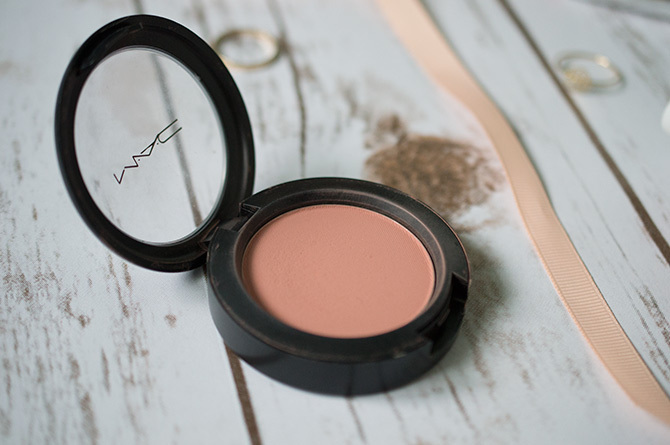 The colour pay off is sheer but the moisturising formula makes it the perfect companion for your handbag in summertime.